WFAA’s Brandon Hamilton stopped by DeDe in the Morning at K104-FM as they highlighted radio morning shows around Dallas-Fort Worth. The segment highlighted the cast DeDe, Lady Jade, Michael Shawn, and White Gary who all bring their own flare to the show. “The true superstars are behind the mics” as mentioned by WFAA. 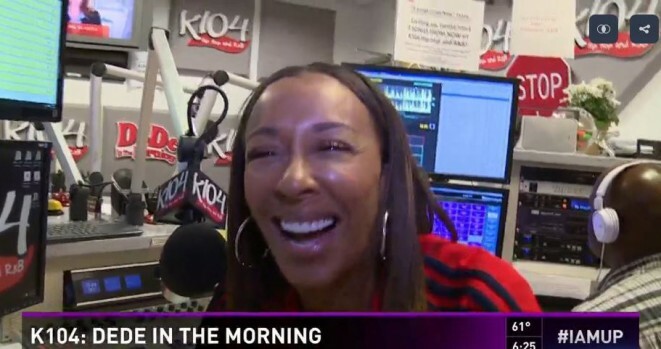 DeDe in the Morning also highlighted many of her many talents in the segment and was even described as the “Hardest working woman in radio”. You can LISTEN to DeDe in the Morning Monday-Friday from 6am-10am WEEKDAYS.